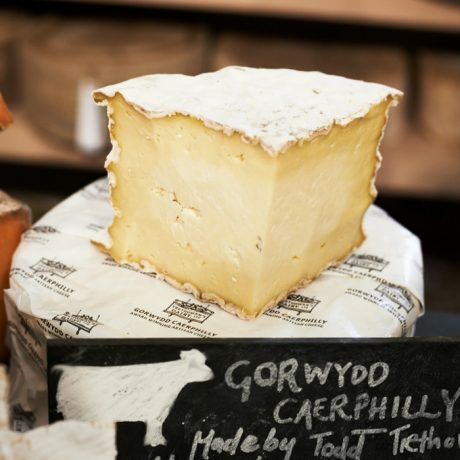 Gorwydd Caerphilly cheese - buy online - The Courtyard Dairy. Caerphilly was the Welsh miner’s cheese: they would take it down the mine and eat it like cake! 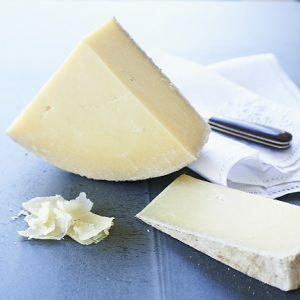 At three to four months old, Gorwydd is a traditional Welsh Caerphilly that has been additionally-matured to break it down to form a buttery, mushroomy layer around a lemony, lactic-fresh core. Made by Todd and Maugan Trethowan in Puxton, Somerset, England. 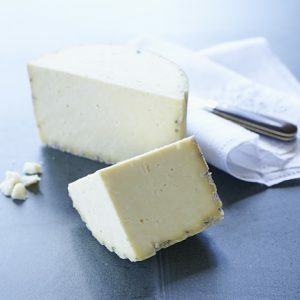 Caerphilly started as a small farm cheese made by hand as a staple for the farmhands. Local surplus production was sold in the market town of Caerphilly and was often used as a miner’s staple, to be taken down the mine and eaten like cake. Gorwydd Caerphilly continues this legacy. 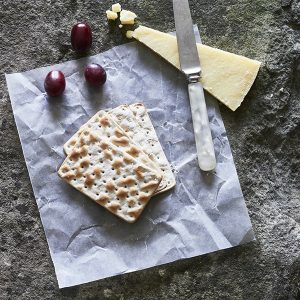 In the 19th-century farmhouse production in Wales all but disappeared and the Cheddar makers of Somerset adopted the style because it was a quicker-maturing cheese that could then be sold at a younger age (8+ weeks compared with a year for Cheddar). 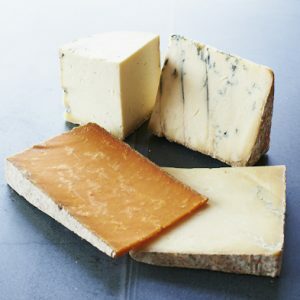 One such farmhouse Cheddar maker was Chris Duckett, from whom Todd Trethowan learnt before returning to Wales to restart production of traditional Welsh Caerphilly. For many years no farmhouse Caerphilly had been made in Wales, until the Trethowan family returned and set up production in Llanddewi Brefi (the Teifi Valley) on Gorwydd Farm in 1996. In 2014 Todd returned the production of Gorwydd Caerphilly to Somerset, almost completing the circle by setting up not too far from Chris Duckett’s original farm. Ever in the search for making the best Caerphilly the Trethowan’s found Puxton Court Farm, near Weston-Super-Mare, was producing a brilliant quality of milk so relocated here to further improve their Gorwydd Caerphilly. Unlike its modern counterparts, which have evolved to make a sharper drier cheese (thanks to the large and industrial equipment in the Cheddar dairies), Gorwydd Caerphilly follows an ancient recipe, making the finished cheese moister, and is matured longer so that the rind breaks down the interior to form a mushroomy, buttery contrast to the sharper, lactic core.